medical incinerator is incineration equipment for the waste from hospital, clinic,laboratory or other related department. the medical waste including plastic material like syringe, Infusion set, medical tube and medical dressing, clothes, and also surgical waste inclding human body part, etc. this kind of incineration equipment use oil(diesel oil) or gas(natural gas or lpg) to burn the waste directly. 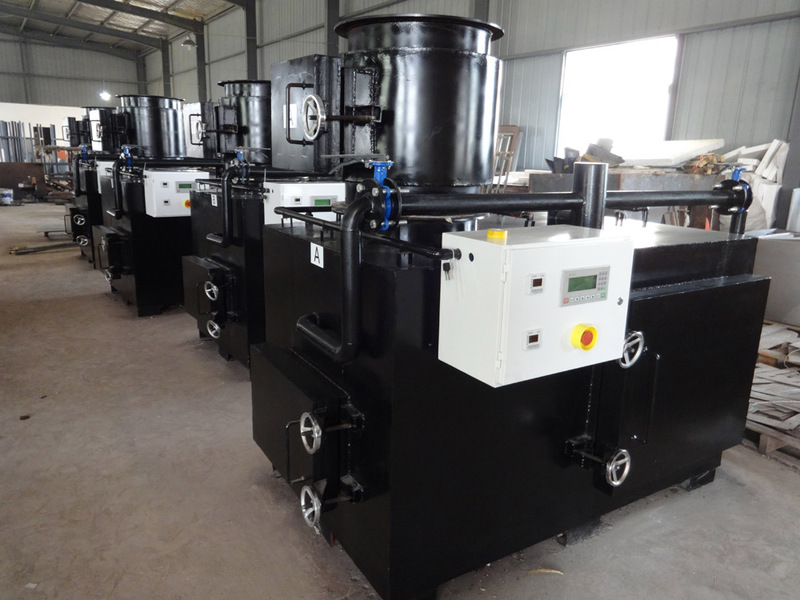 most of the medical incinerator desigh with double(two) combustion chamber, the first combustion chamber burn the waste directly and the secondary combustion chamber burn the smoke from the first combustion chamber. double combustion chamber made the smoke out cleaner, enviromental friendly. the orther key parameter of the medical incinerator is burning rate(capacity), means how much weight will be burn out per hour, like 5 kgs per hour or 500kgs per hour. if customer buy medical incinerator also have to check other capacity, that is feeding capacity, means how much weight can fedding in the combustion chamber per time. even if same burning rate like 10kgs per hour, the factory can design and made 200liters(0.2m3) or 400liters(0.4m3). 200liters and 400liters mean the medical incinerator size is different and also different price. we have different burning rate and different feeding capacity incinerator or design for customer. the small burning rate medical incinerator as below, 10kgs per hour to 100kgs per hour. if you need larger capacity, contact with us.